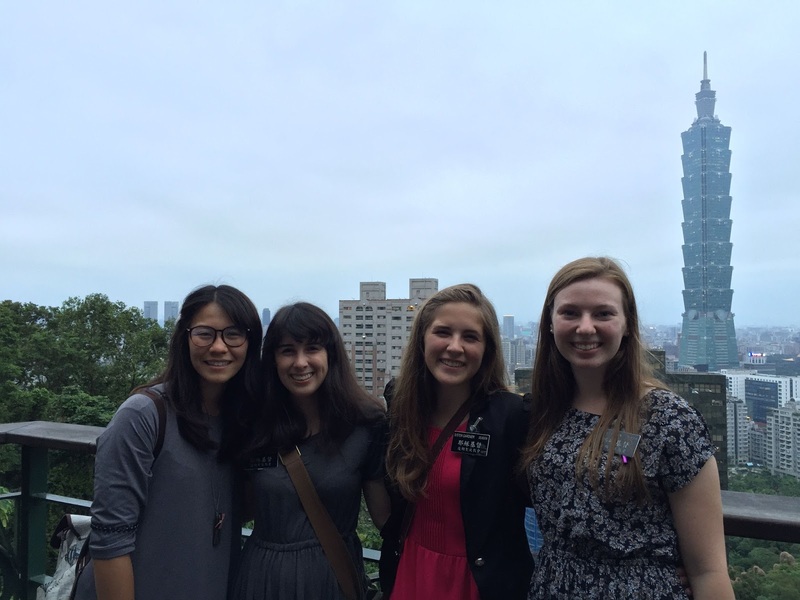 And most importantly sharing our testimonies one last time together as set apart missionaries! So sweet to see her family waiting for her at the temple! 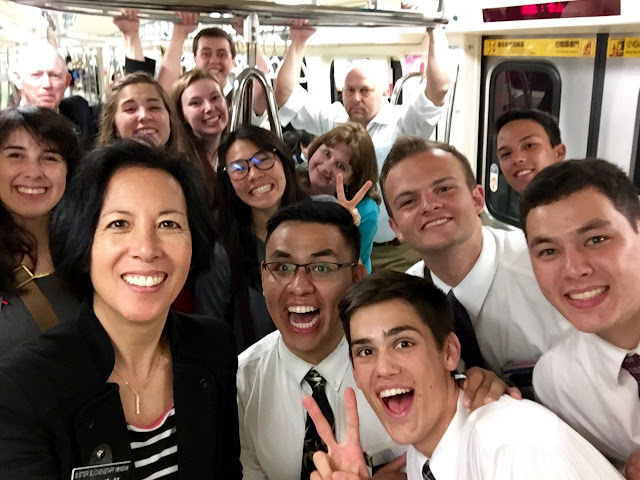 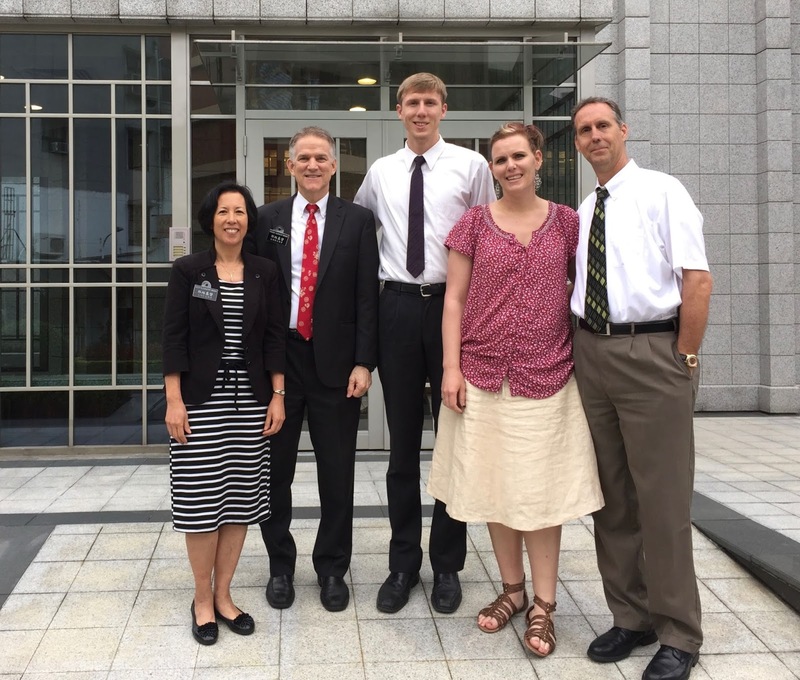 Love to see returned missionaries! 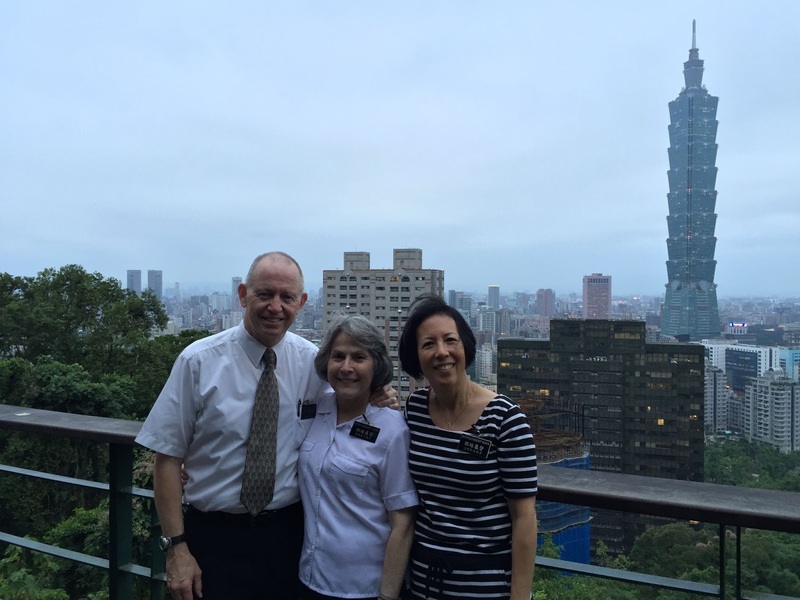 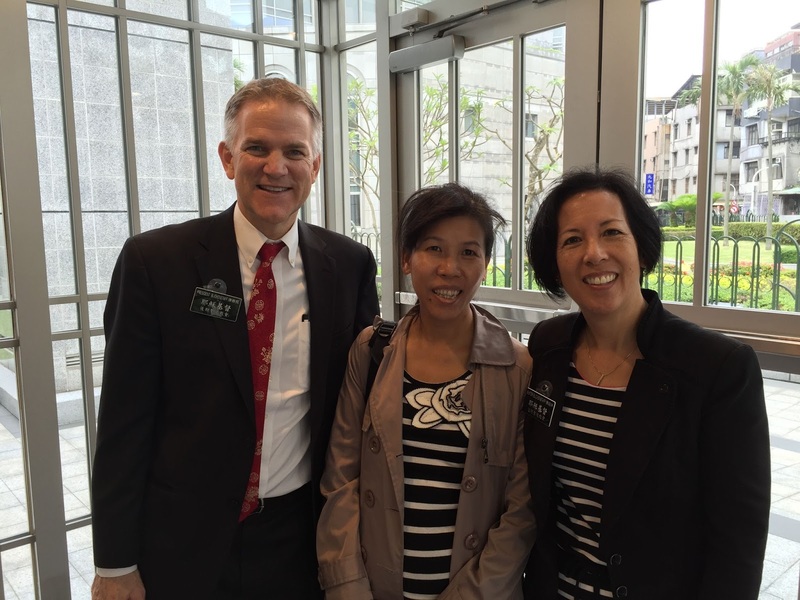 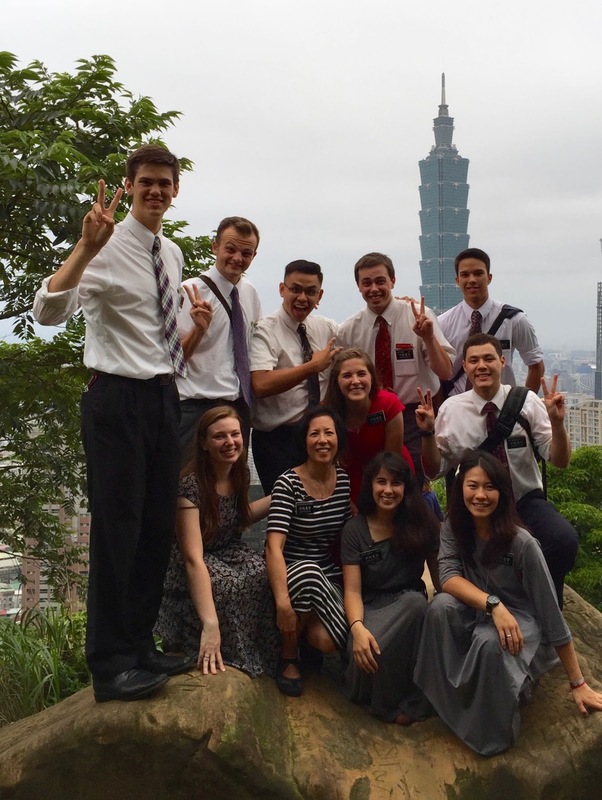 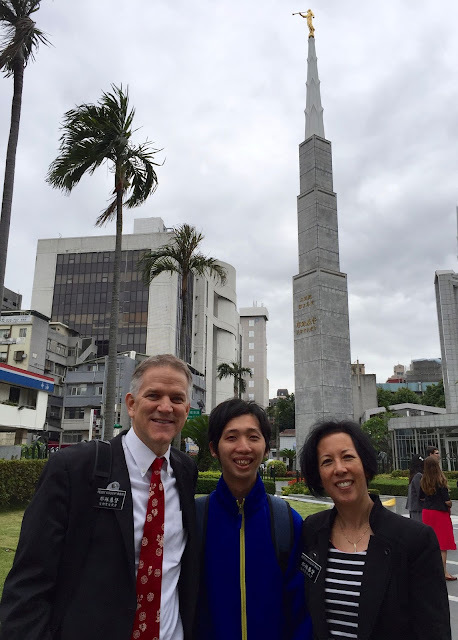 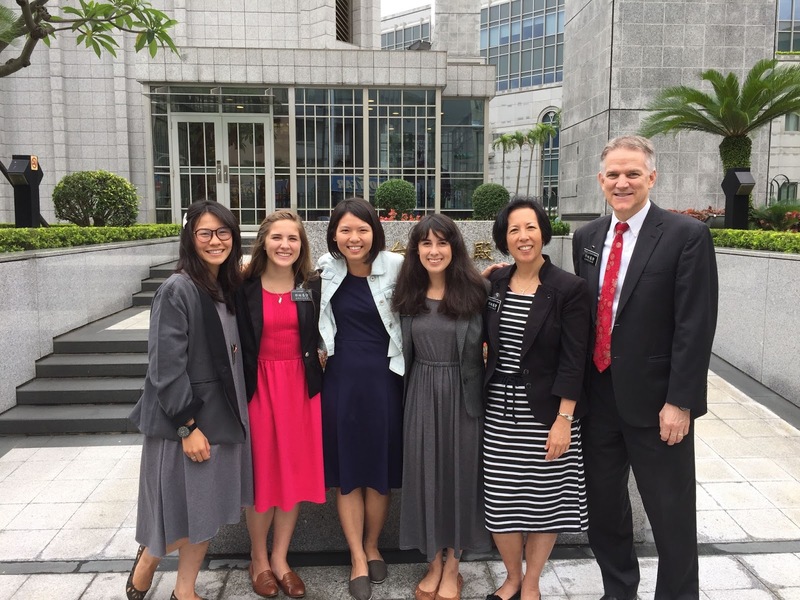 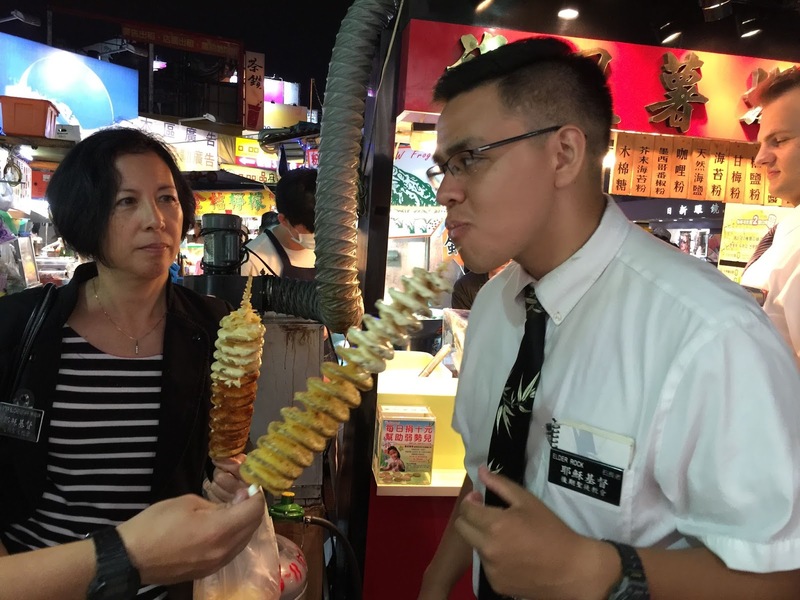 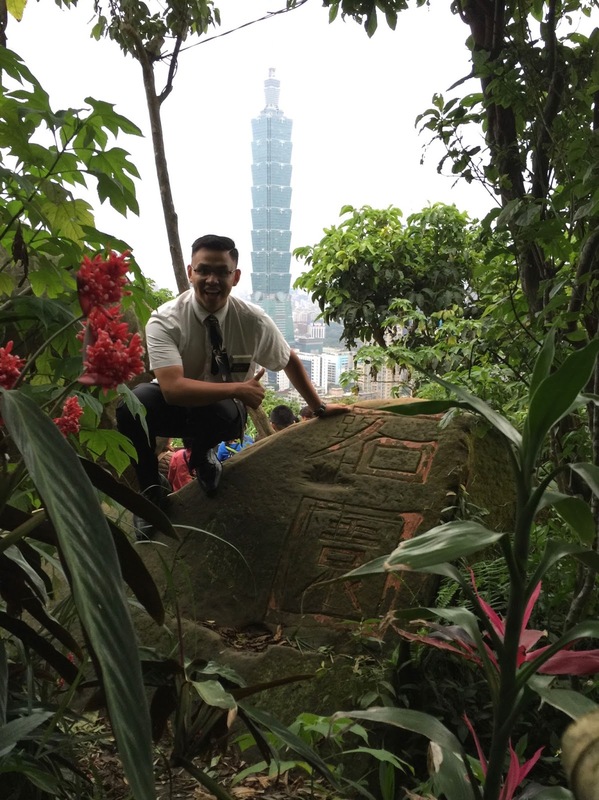 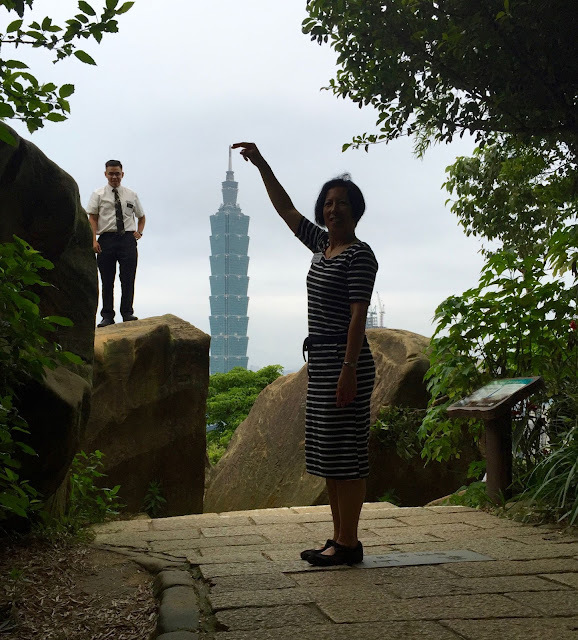 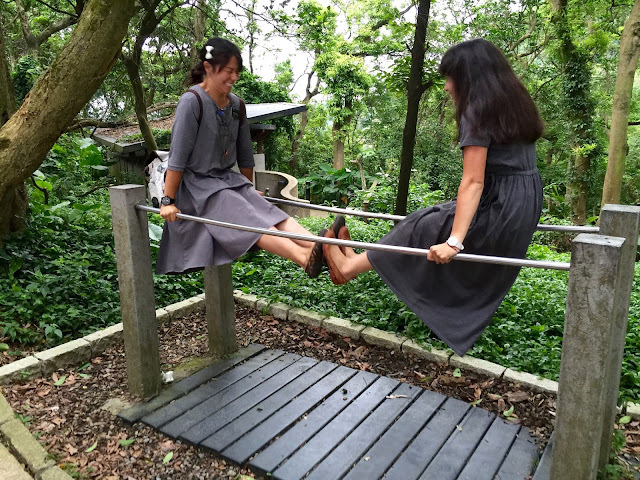 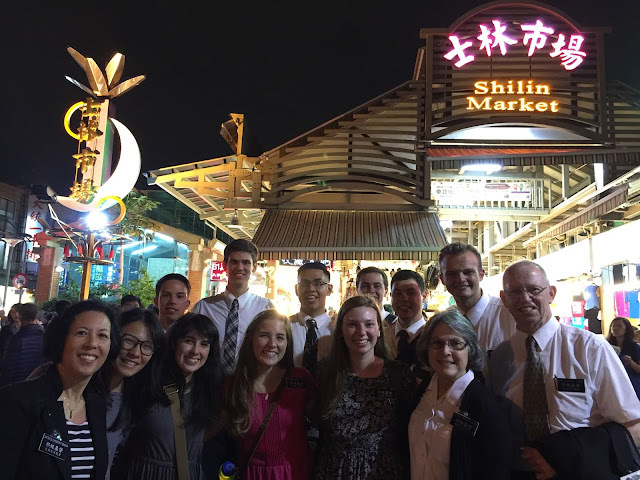 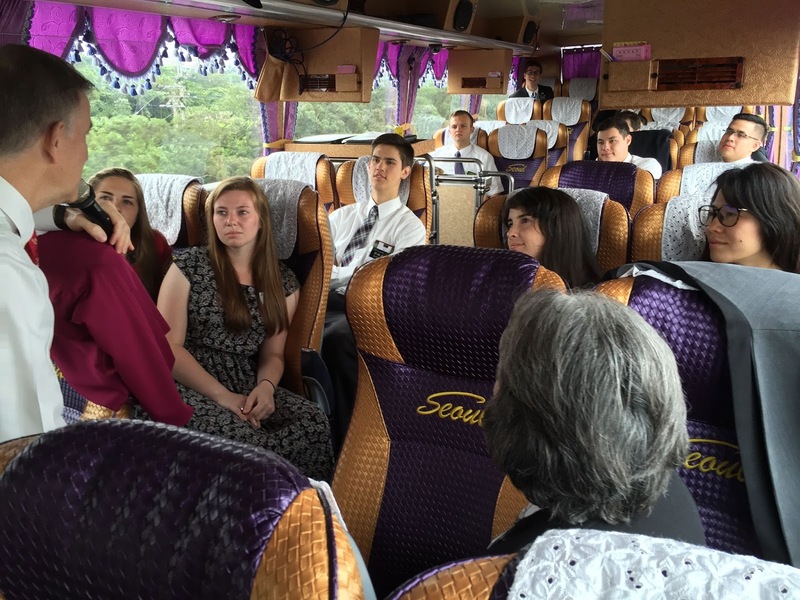 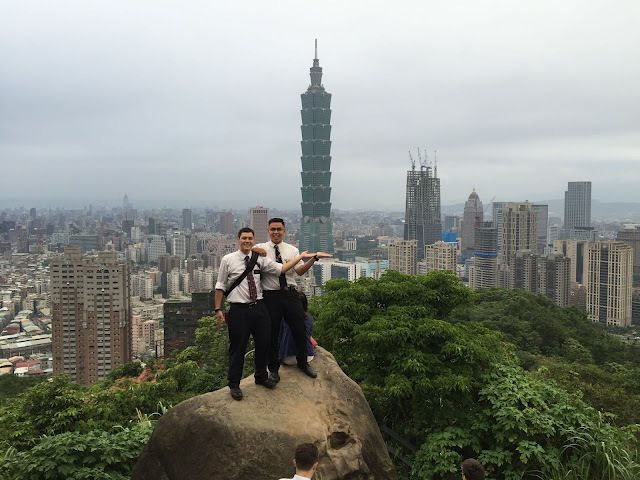 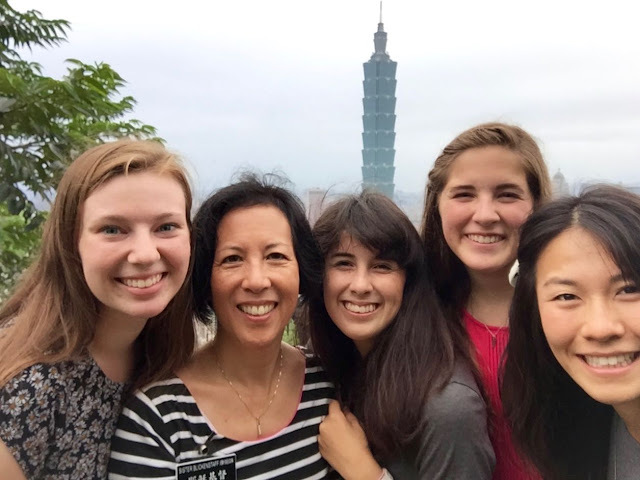 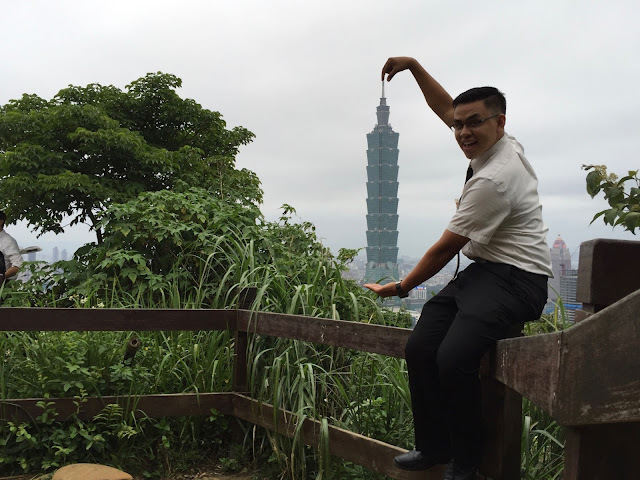 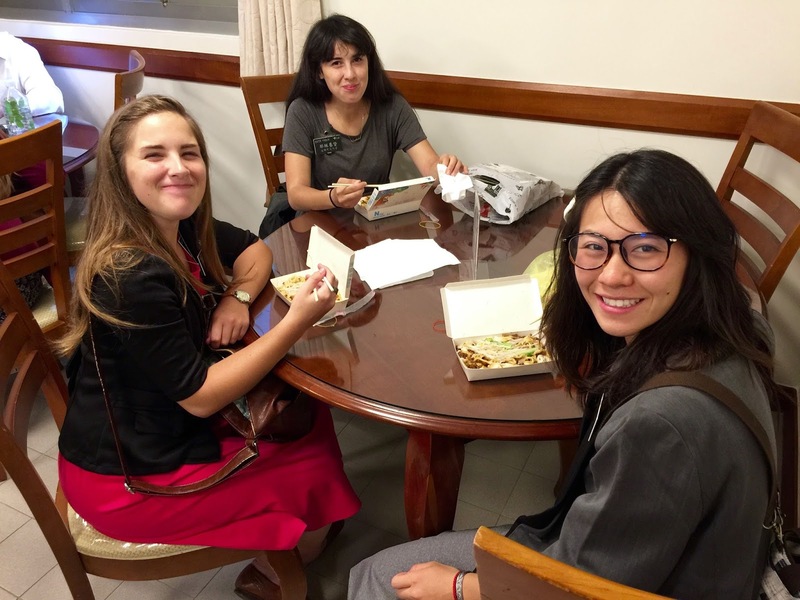 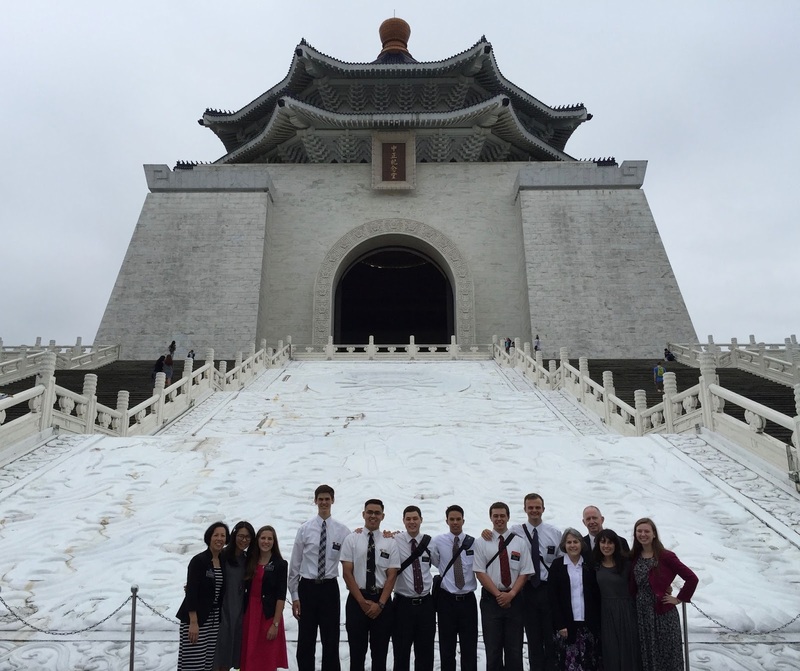 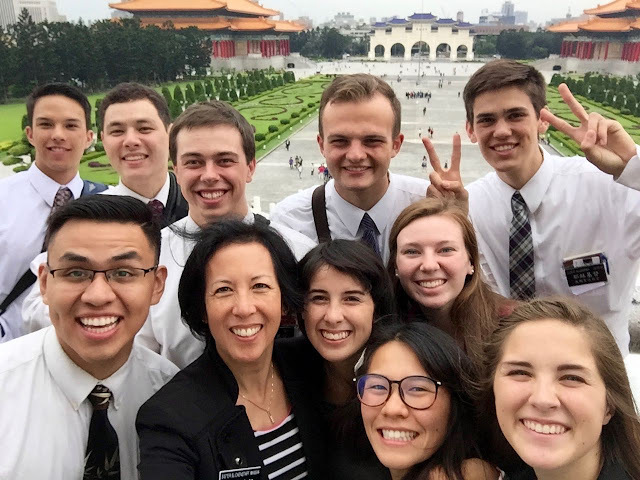 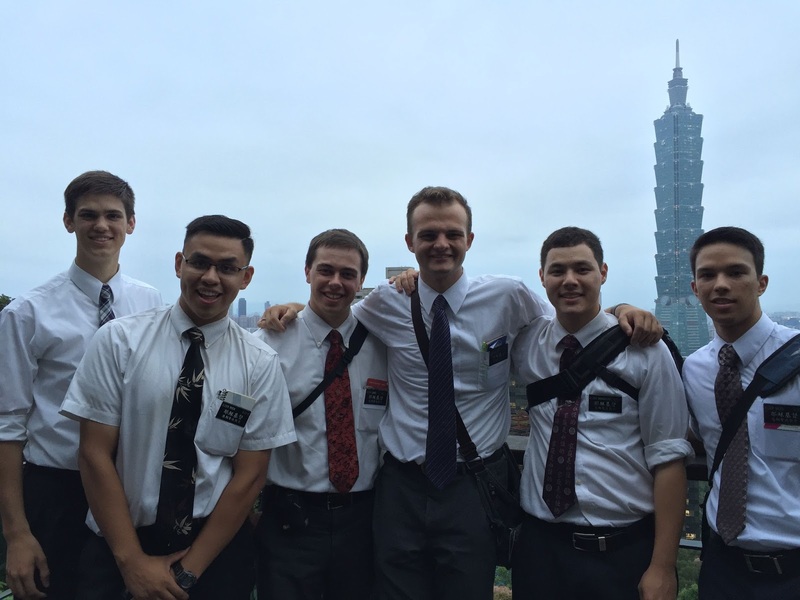 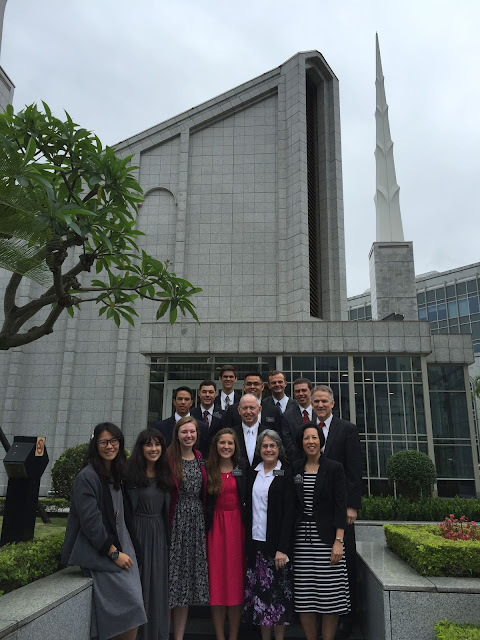 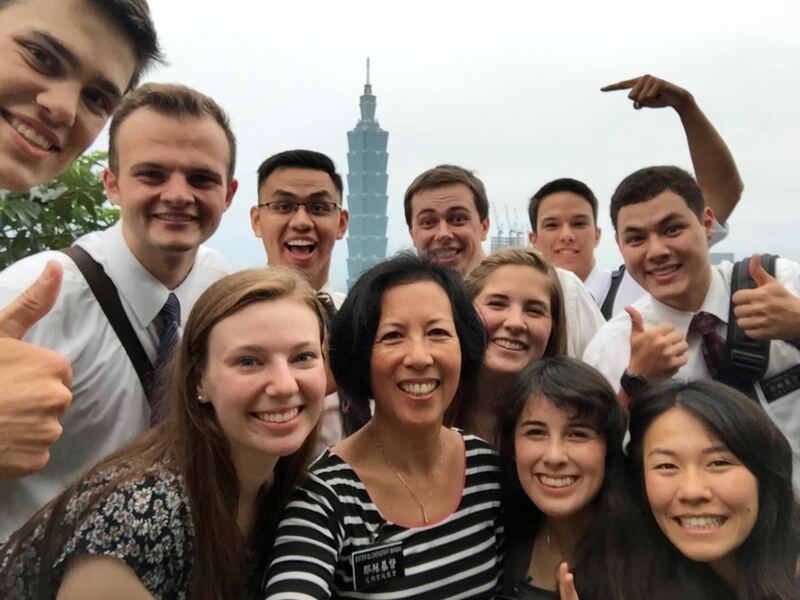 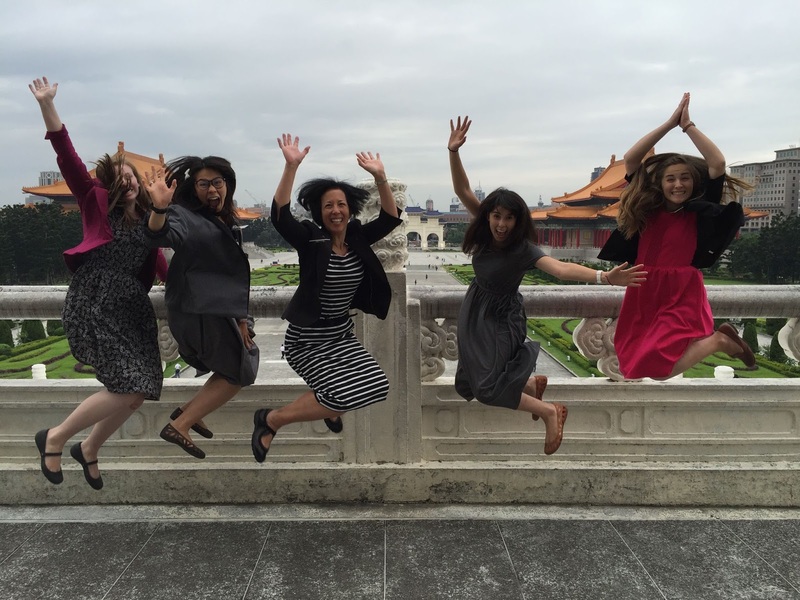 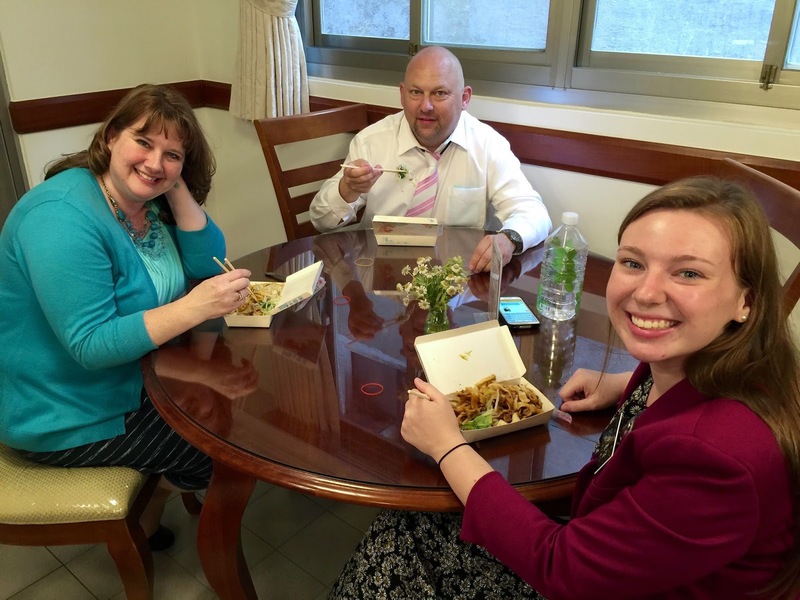 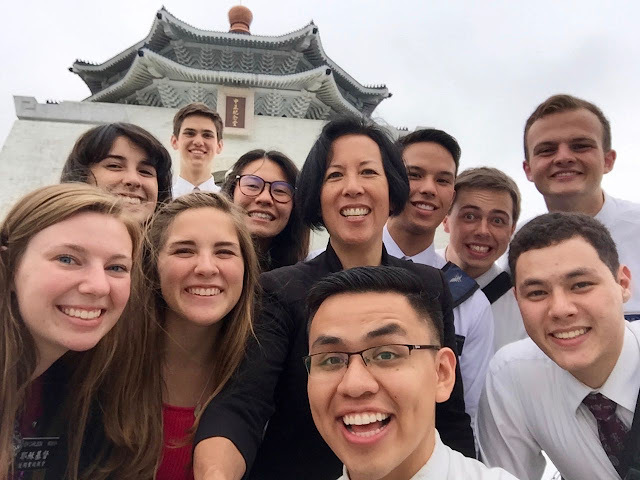 Our APs were in the MTC together with these Taipei missionaries! 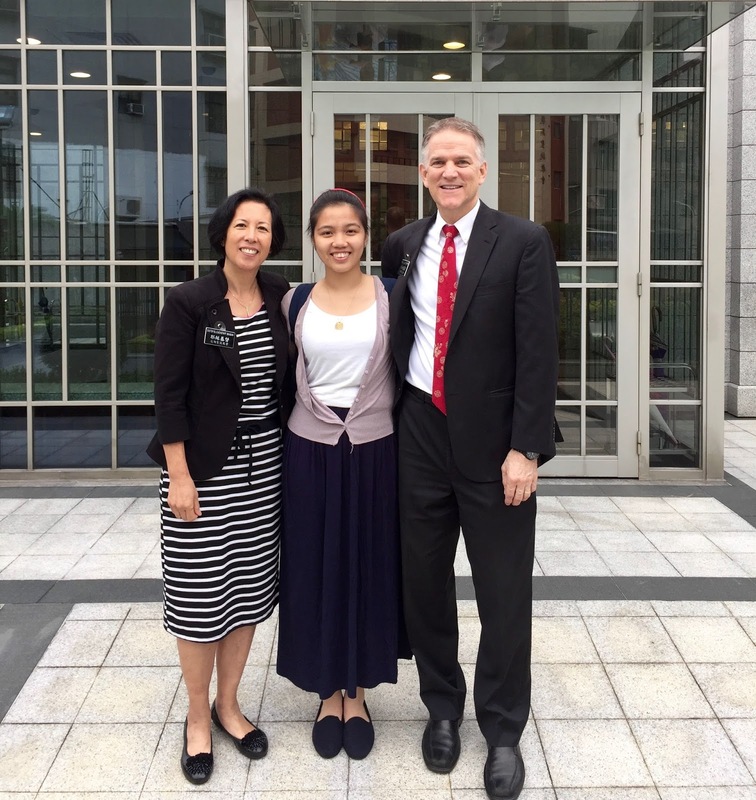 Another returned missionary coming to say goodbye to her "daughter"! Love to see parents of our missionaries at the temple! 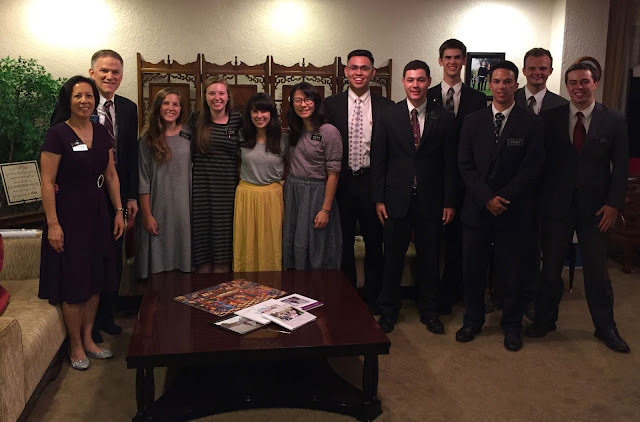 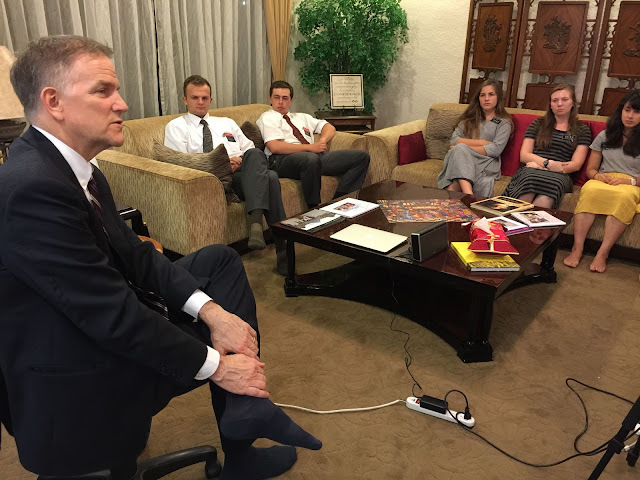 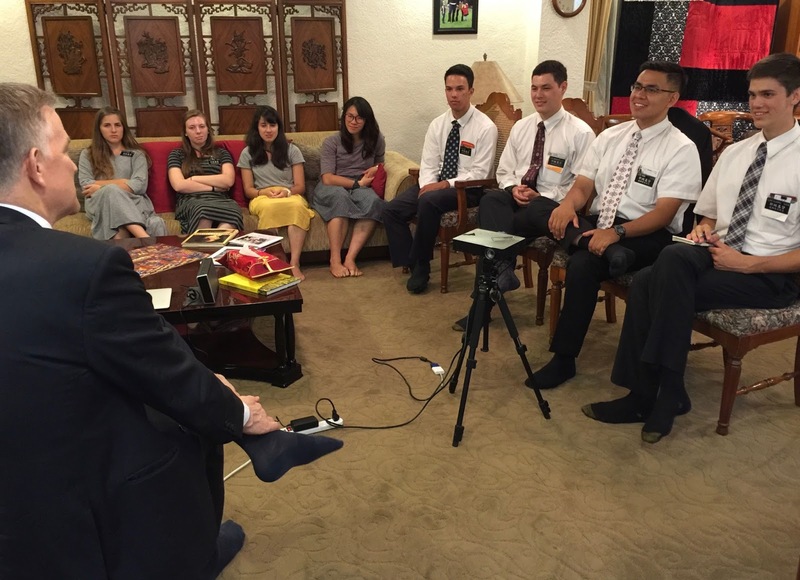 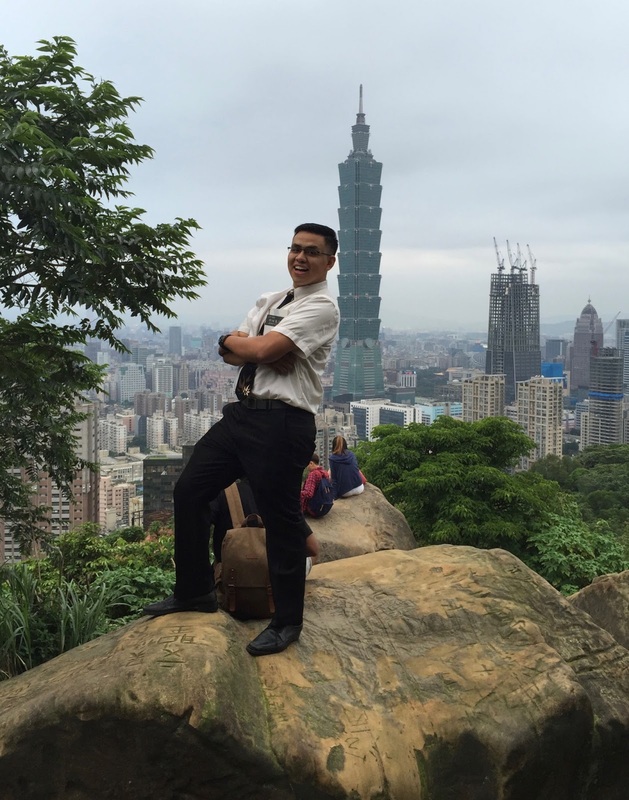 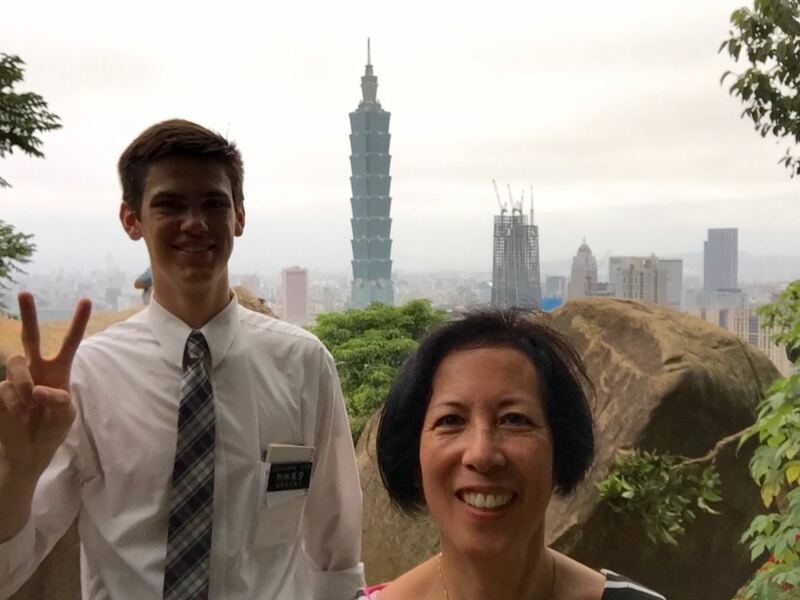 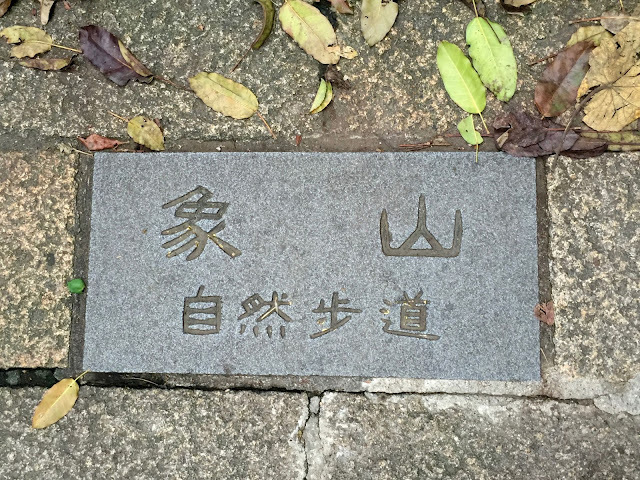 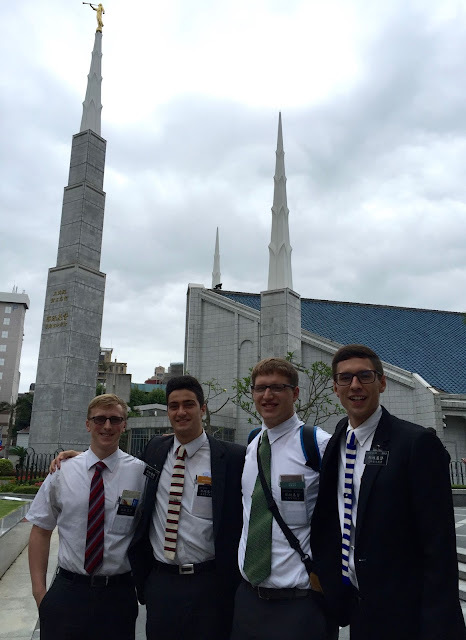 Come back from America with his parents to visit his mission! 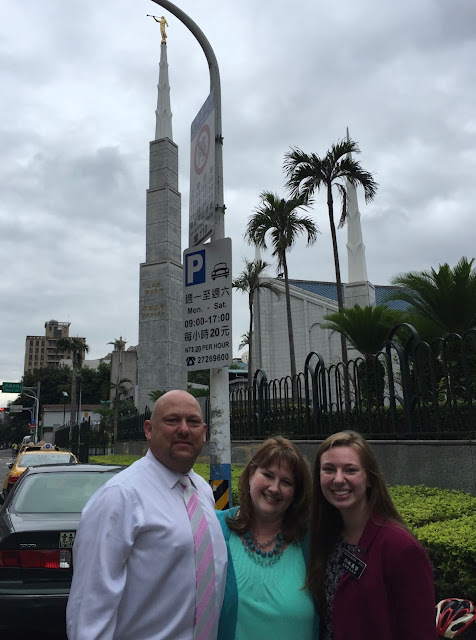 It has been about 15 years since the last time, good thing she was there to prompt him! 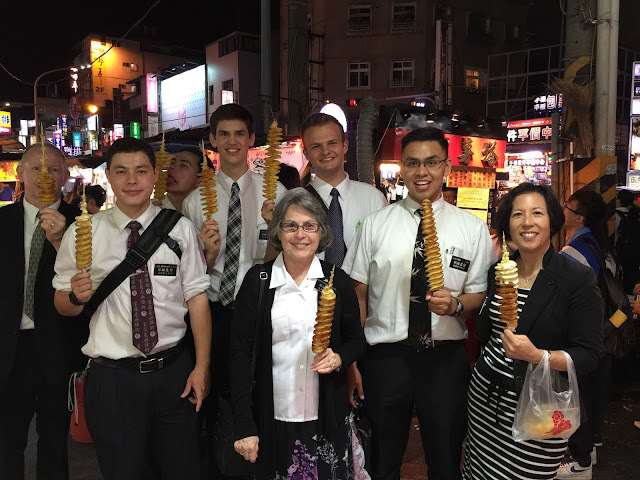 Ok, get ready for the SELFIES...I have the greatest night market selfie stick ever! 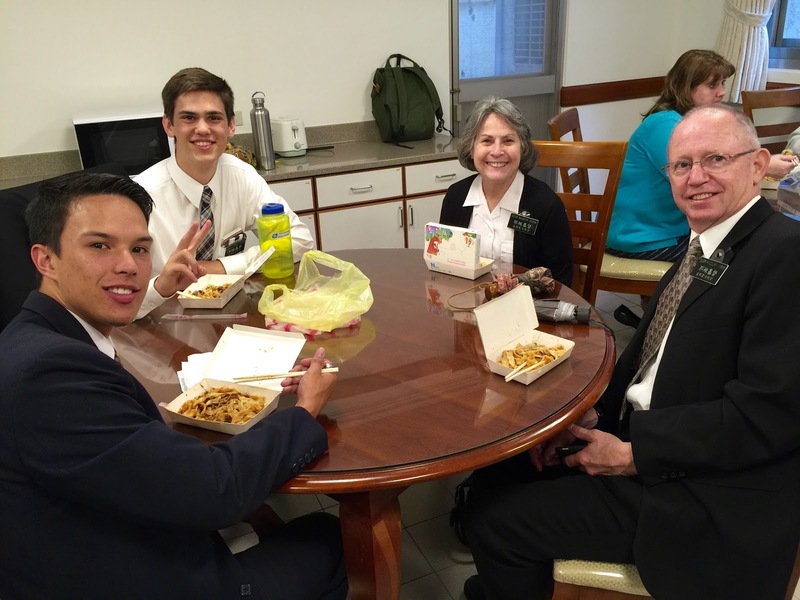 so they could learn the ropes. 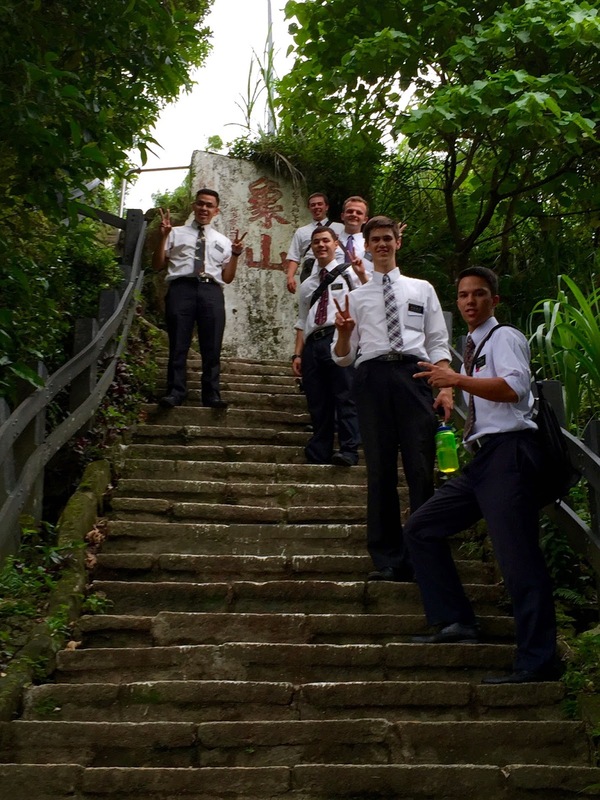 Up a thousand stairs at least! This is worth downloading and viewing full size! of course the Elders followed. Well we want one too! 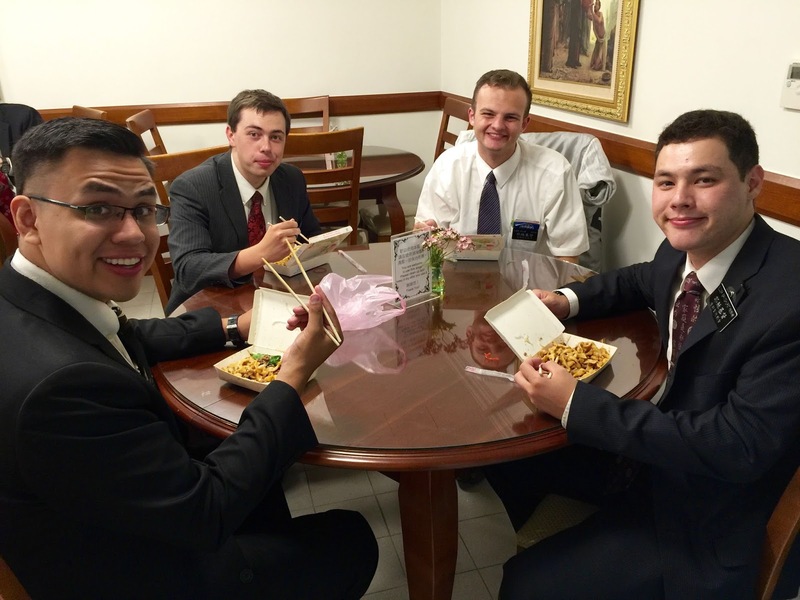 I've been looking forward to this treat all week! The Japanese salad dressing is KILLER! 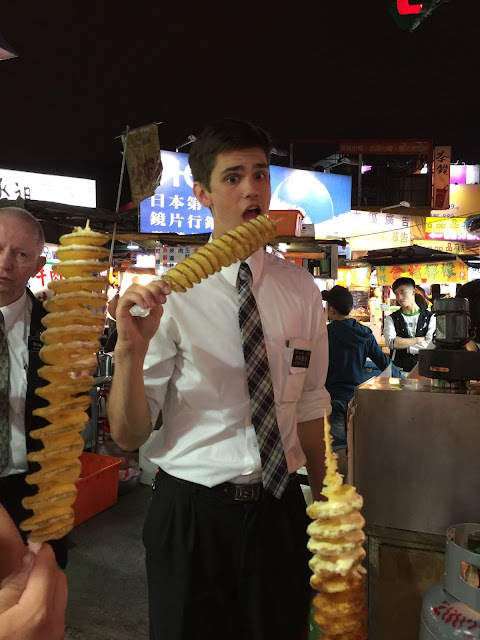 I ate the whole thing, it was SOOOOOO good! 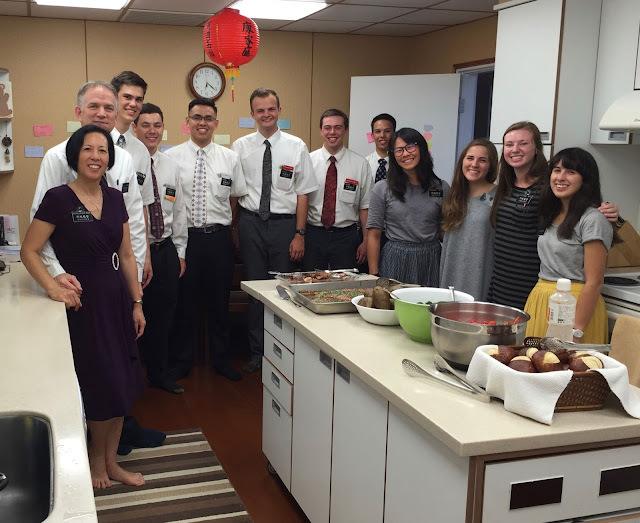 We will miss you all, but have lots of memories of good times!